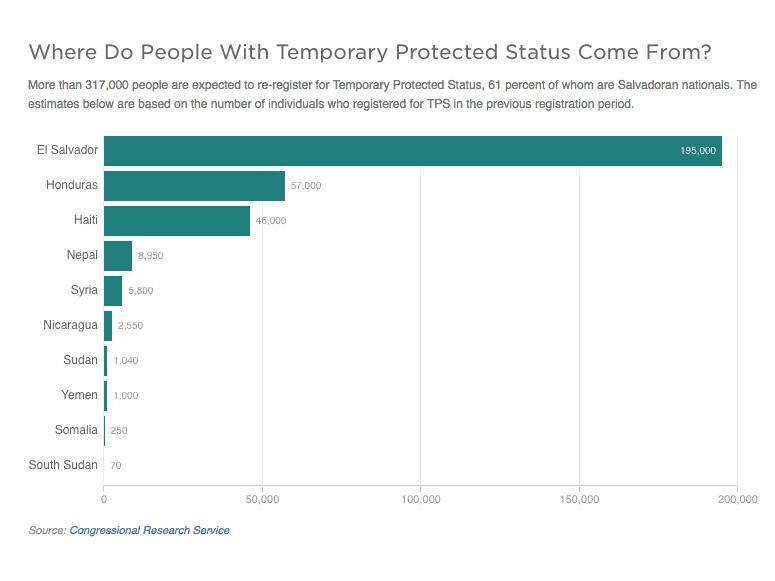 Other countries whose citizens in the U.S. are protected under TPS rules include Nepal, Syria, Sudan, Yemen, Somalia, and South Sudan. Copyright 2018 NPR. To see more, visit http://www.npr.org/.